Home » Communities » How to get rid of ugly drywall texture with a Skim Coat for a fresh start! A Skim Coat can get rid of a bad texture job! If you ever wondered how you can get rid of a poorly done texture on a wall or ceiling. 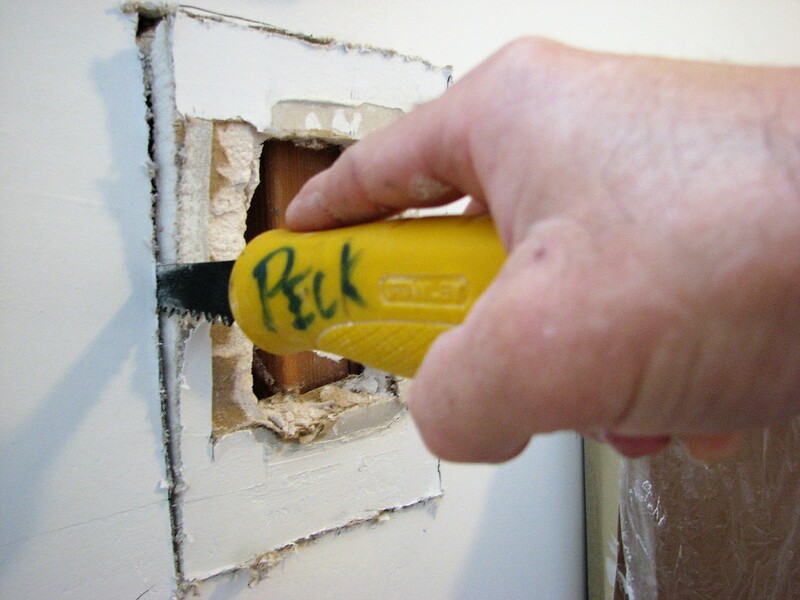 This is the perfect technique for anyone from a Do it Yourself homeowner’s to a handyman, handygirl, professional painter or contractors. You’ll be able to create a fresh new canvas on your walls with these tips and tricks! On this project I had the challenge of covering up a heavy and very inconsistent knockdown texture that had been applied to the walls and ceilings during the construction of this 3500 square foot condominium back in 2001. Since the texture is so heavy. It’s going to take two rounds of skim coating to completely cover up this hideous texture and be ready for an orange peel texture. In the two videos below, I’m show you how to do the first coat and second skim coat on one of the walls of my renovation project. If you have any questions about the skim coating with a paint roller technique that you see in the video? After the first coat dried overnight, I took my 6″ drywall taping knife and simply scraped off any ridges or high spots off of the initial skim coat. I like get the first skim coat nice and tight and not have to sand is my goal. That way the wall will not be dusty. That means I can immediately start skimming without having to wipe the walls down to get rid of the dust. The problem with drywall dust is that it can create an adhesion issues if not wiped down properly. The second skim coat will be much easier to get smooth than the first skim coat and it will also dry a much faster too. Because the first skim coat will absorb the second skim coat quicker than the first when it was over a painted surfaces which slows down the drying process. After the second skim coat is completed and dry. I lightly sanded the wall with 100 grit sandpaper. Next, I removed the sanding dust from walls by using a half of a bucket of water and a yellow grout sponge rinsing the sponge often in the bucket of water. and applied the orange peel texture. Then, I primed the walls with a quality latex primer called Zinsser 123. Lastly I painted the walls with two coats of my favorite flavor of high quality latex satin paint. In this video tutorial I’m going to show you how to apply a skim coat to your walls for fresh new look. DIY Skim Coating- In this video I’m gonna show you how to mix the skim coat by mixing all purpose joint compound and a little water. I’m going to be using a paint mixer drill bit that I purchased at Lowes that you can put right in your cordless drill. I’m using a Dewalt 20 V cordless drill to mix up the skim coat mix with the paint mixer.